[Pascal and I] have had two common interests: mathematics, which led to our mutual profession, and theology, which led to our wagers. Though a Christian, Pascal was also a doubter. In Number 233 of his Pensées he says, “If there is a God, He is infinitely incomprehensible, since, having neither parts nor limits, He has no affinity to us. We are then incapable of knowing either what He is or if He is.” Pascal later added, “Reason can decide nothing here.” He then concluded, in his now-famous wager, that belief in God was the only rational choice to make. Pascal’s Wager: If God does not exist, we lose nothing by believing in him; while if he does exist, we lose everything by not believing. Before stating my own wager, I’ll comment on Pascal’s. His first conditional statement could just as well refer to the Tooth Fairy or the pot of gold at the end of the rainbow. Were we to devote our entire life to such fruitless searches, we would be left with an unproductive and wasted life—certainly a loss. His second conditional statement is even more problematic. Pascal assumes the only existing god would be his Christian version—one who rewards believers with eternal bliss and punishes nonbelievers with eternal damnation. Moreover, it would either be a god who could not distinguish between genuine and feigned belief, or one who rewards hypocrites for pretending a faith that they lack. I agree with Pascal that no god is comprehensible. But suppose I posit the existence of a creator who cares about human beings and elects to spend an eternity with a chosen few. What selection criteria would such a supreme being adopt? I expect this divine scientist would prefer a “personal relationship” with intelligent, honest, rational people who require evidence before holding a belief. 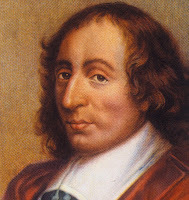 Pascal undoubtedly would have agreed with me that our most promising math students ask provocative questions until convinced by rational arguments, while our dullest students mindlessly regurgitate what they think we want them to say. Wouldn’t a supreme teacher concur? 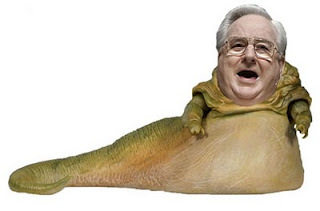 My kind of Supreme Being would favor eternal discourse with a Carl Sagan, not a Jerry Falwell. Silverman’s Wager: If God does not exist, we lose nothing by not believing in him; while if he does exist, we lose everything by believing. Brilliant. I'm loving Silverman's book, by the way. I hate when that happens, too, because I buy all the formats. I have the audiobook, Kindle version, and the hardcover is on the way. *Silverman, Herb (2012-03-24). Candidate Without a Prayer (Kindle Locations 4196-4216). Humanist Press LLC. Kindle Edition.